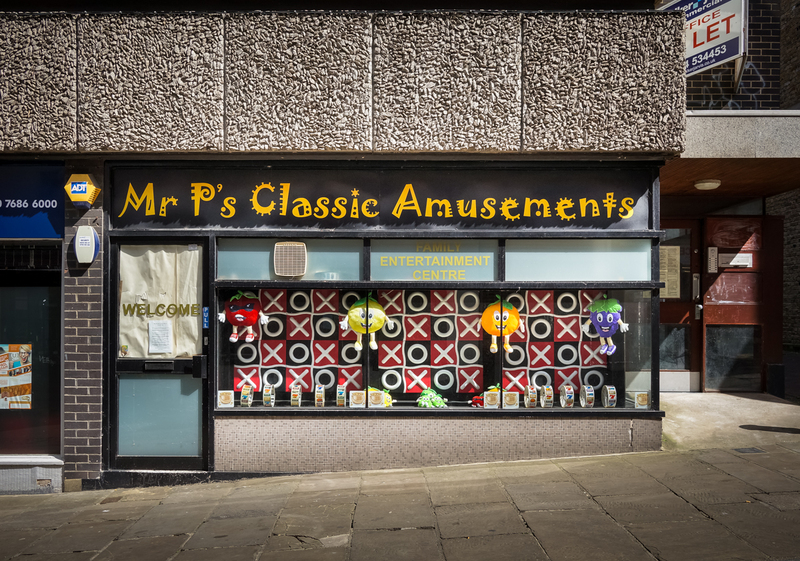 Mr P’s Classic Amusements, 10 High Street, Gravesend, Kent, 2015 • Depends on your definition of “classic” and “family entertainment”, really. The typeface is pure early 1990s (Remedy, designed by Emigre fonts in 1991). Very interesting, thank you for increasing the wholesomeness quotient of this establishment. It still looks a bit creepy when closed though!